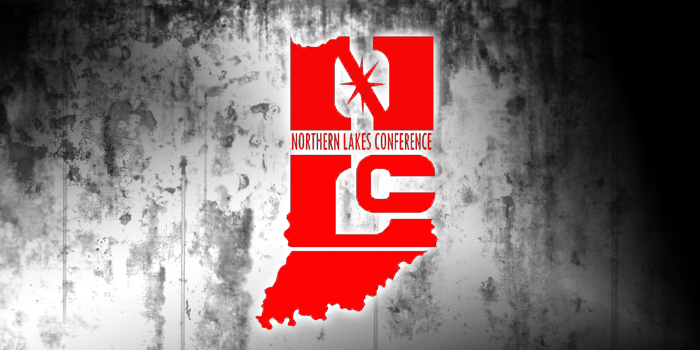 GOSHEN – Co-champions Warsaw and Northridge highlighted the 2017-18 Northern Lakes Conference All-NLC boys basketball list. The Tigers, which finished in a 5-2 tie with the Raiders, claimed at least a share of its record fourth NLC title in a row. Both head coaches, Doug Ogle at Warsaw and Ronnie Thomas at Northridge, were named Co-Coaches of the Year for the NLC. Warsaw had both Zach Riley and Nolan Groninger named to the All-NLC list and Brian Elliott to the Honorable Mention All-NLC tally. Northridge’s Jackson Erekson and Connor Utley were named All-NLC and Nick Yoder to the Honorable Mention list. Elkhart Memorial, NorthWood and Plymouth were all 4-3 and tied for third in the balanced conference race. NorthWood had Caleb Lung on the All-NLC list and teammates Brad Delio and Kaden Gongwer on the Honorable Mention All-NLC list. The Chargers had Hank Smith and Trey Gallope as All-NLC and the Pilgrims with Clay Hilliard and Kadin McCrammer as All-NLC. Wawasee, Goshen and Concord were all 2-5 overall. The Warriors had Trevon Coleman named All-NLC, the Minutemen with Michael Johnson as All-NLC and Grant Magnuson as Honorable Mention All-NLC, and the RedHawks with Will Line as All-NLC and Bryant Robinson as Honorable Mention All-NLC.